Fraser Place Melbourne is offering one of the best rates in town during the Australian Open tennis season (10 – 27 January 2014) with overnight packages at the stylish laneway property starting from $250 per night. 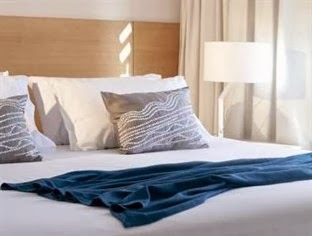 The package, for two people, includes overnight accommodation at Fraser Place Melbourne including buffet breakfast with a glass of Moet & Chandon, free Wi-Fi plus your choice of cocktail at Seamstress Restaurant Bar. Tennis fans visiting the bustling city will be able to watch their favourite tennis stars battle it out at Rod Laver Arena and then head back for a cocktail at Seamstress Restaurant & Bar following a relaxing overnight stay at Fraser Place Melbourne. Centrally located on Exploration Lane just a short distance from some of Melbourne’s great sporting grounds and stadiums, Fraser Place is the ultimate place to stay during the Australian Open.